The Give receipt shortcode outputs the donation receipt on the page donors are sent to after completing their donations. The shortcode outputs the donation information for the donor to print or save once they have completed a donation. Note: If a donation has failed or is in a pending status the donor will be brought to this page as well. When Give is first installed, it automatically creates a “Donation Confirmation” page for you, and adds the shortcode to that page. Without this shortcode, your donors will not see a confirmation of their donation or important information about their donation history. Outputs a row in the receipt to display the company name that the donor provided during donation. The row will not appear if the value is empty. Enable or Disable displaying the total donation amount on the receipt. 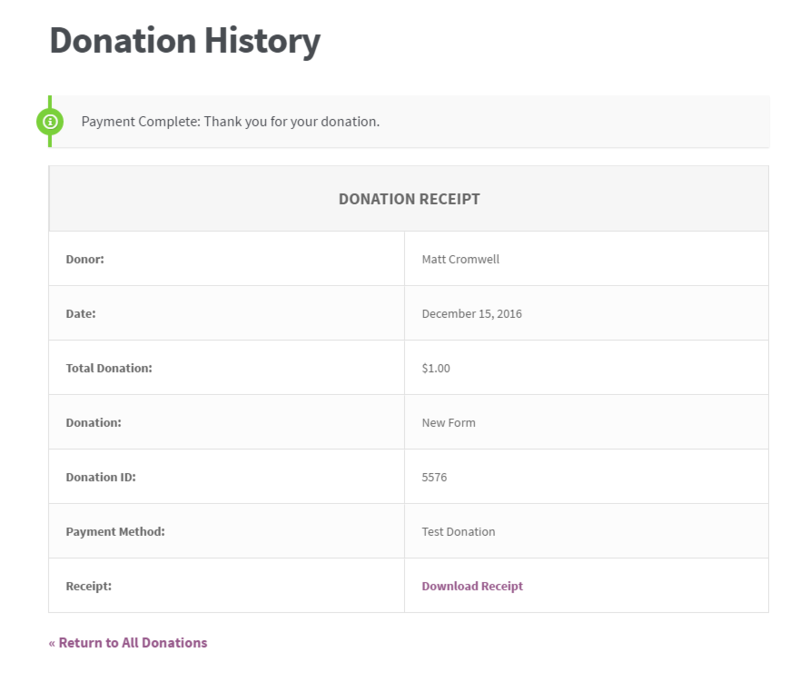 Enable or Disable displaying the date the donation was made on the receipt. Displays the unique ID of that specific transaction. This is a helpful reference for both site admins and donors in case there are any questions about specific transactions. 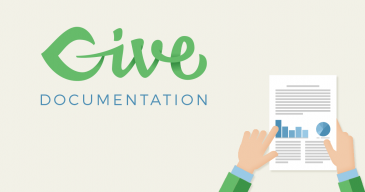 Determines whether to display a notice above the donation receipt table highlighting the status of the donation. Determines whether to display a row within the donation receipt highlighting the status of the donation. Move this shortcode to your new page. Update the “Success Page” setting in “Donations > Settings” and the “General” tab. A couple notes on the difference between the Donation History page and the Donation Receipt are important. Donors who are logged-in to your site, or have used Email Access to view their Donation History will be able to see their individual donations via the Donation History page. The Donation Receipt page is where they are redirected after attempting a donation on a form. If a donor is on the Donation History page and clicks on “View Receipt” the page will refresh and show their their individual receipt via the [give_receipt] shortcode. You do not need — or really want — to have the [give_receipt] shortcode on the same page as the [donation_history] page. Give handles that automatically for you.